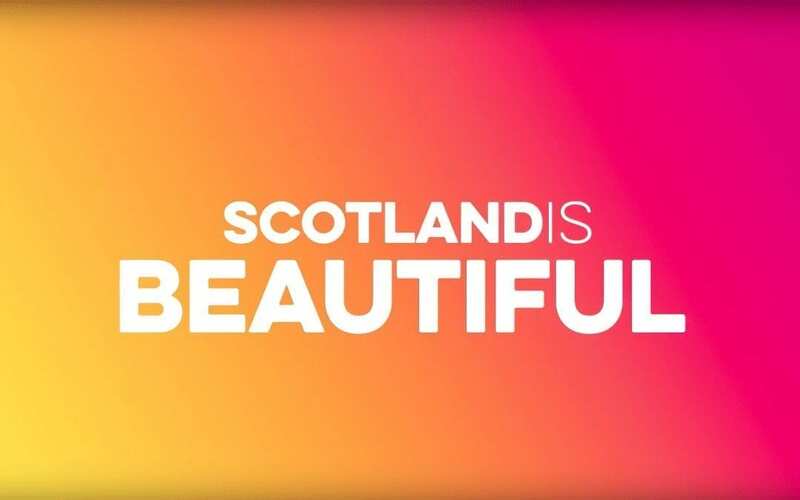 One of Scotland’s most famous attributes is its world-renowned reputation for providing a warm and open welcome to everyone who comes here. 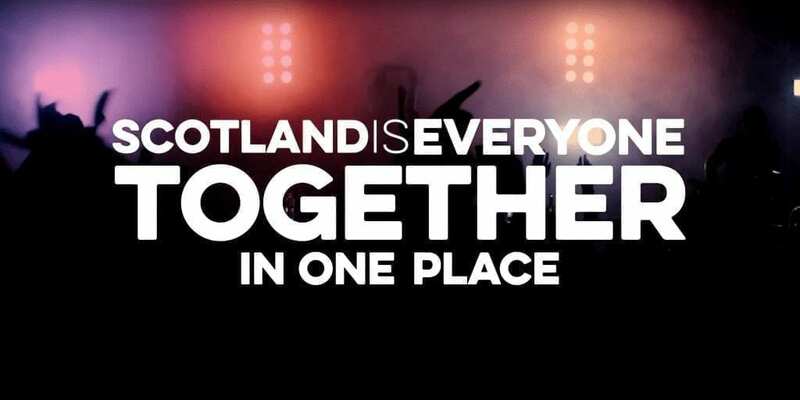 Whether it’s the many people who choose to live here permanently or the millions who visit Scotland each and every year, you’re sure to hear many stories of the genuine friendliness of the Scottish people. 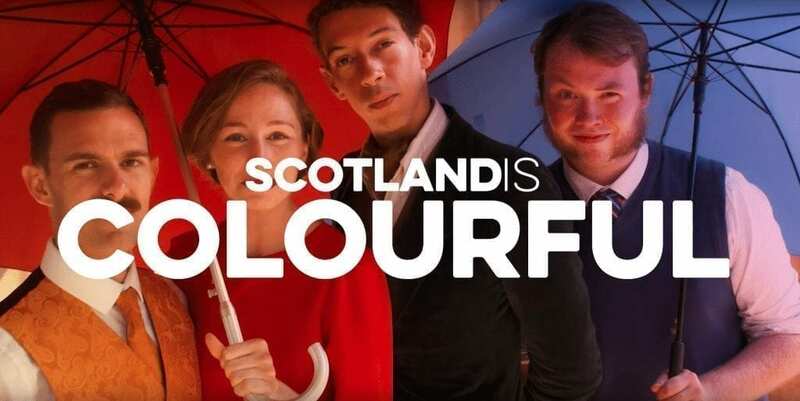 Today in Scotland, more than 170 different languages are spoken – from Punjabi to Polish, and Cantonese to Gaelic. All these different people contribute to making Scotland a great place to live, work, study, visit or do business in! 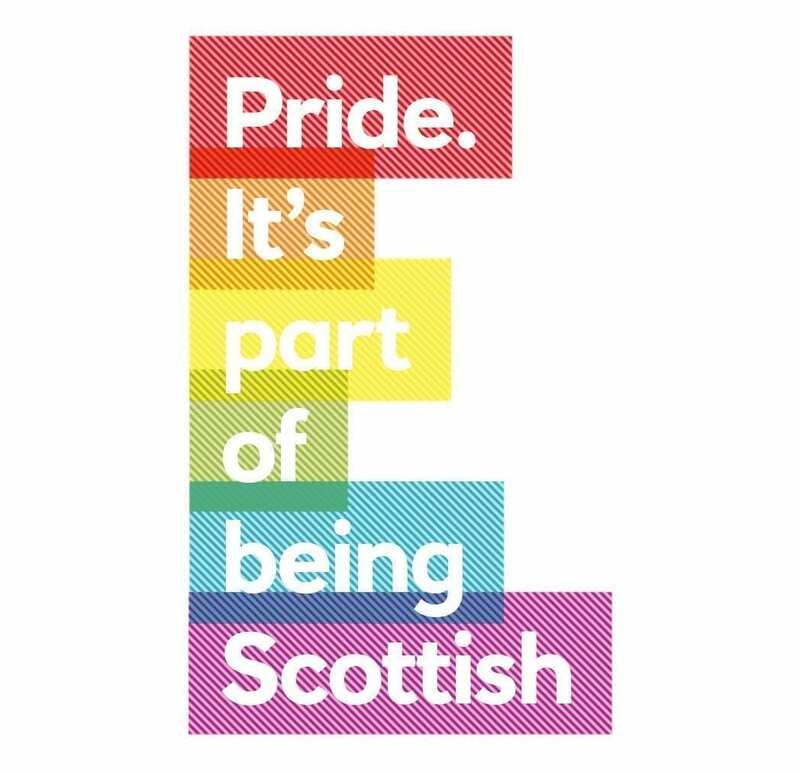 Our diversity is something that we’re incredibly proud of and we continue to make great strides in ensuring Scotland is open to everyone. 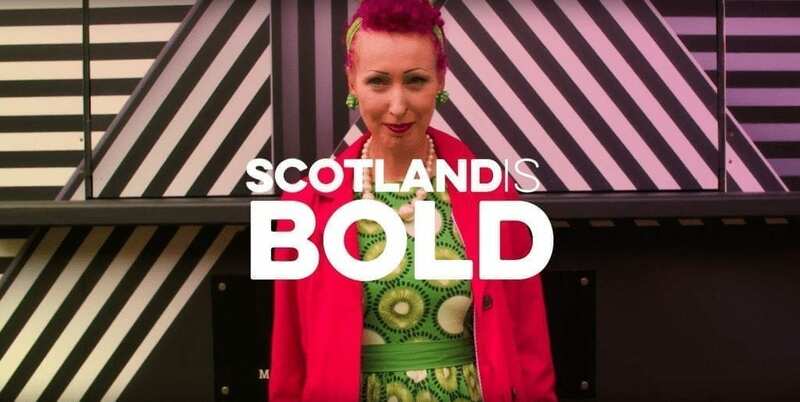 Whether it’s the thousands of refugees we’ve welcomed with open arms or the fact that we rank as one of the best countries in Europe for LGBTQI+ rights and equality, Scotland truly is a melting pot of inclusivity. Graffiti artists from across the UK and Europe will descend on the Capital this weekend to work their magic on a stretch of wall close to Edinburgh’s Ocean Terminal. 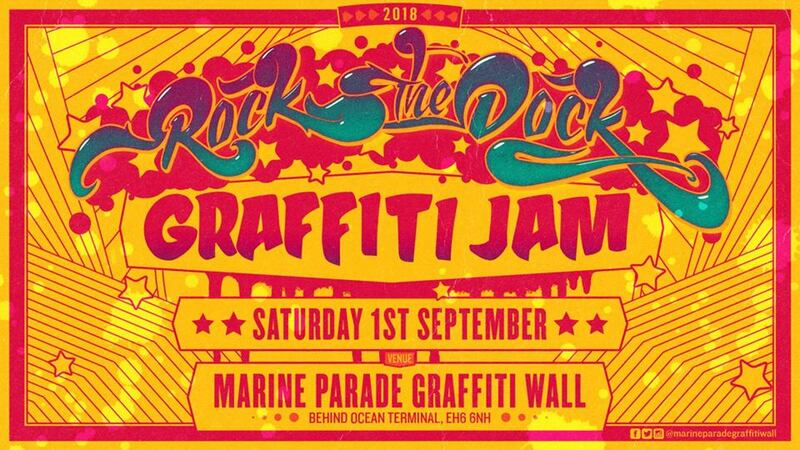 The Rock the Dock Graffiti Jam on Saturday 1 September aims to create the UK’s longest legal graffiti wall at Marine Parade. 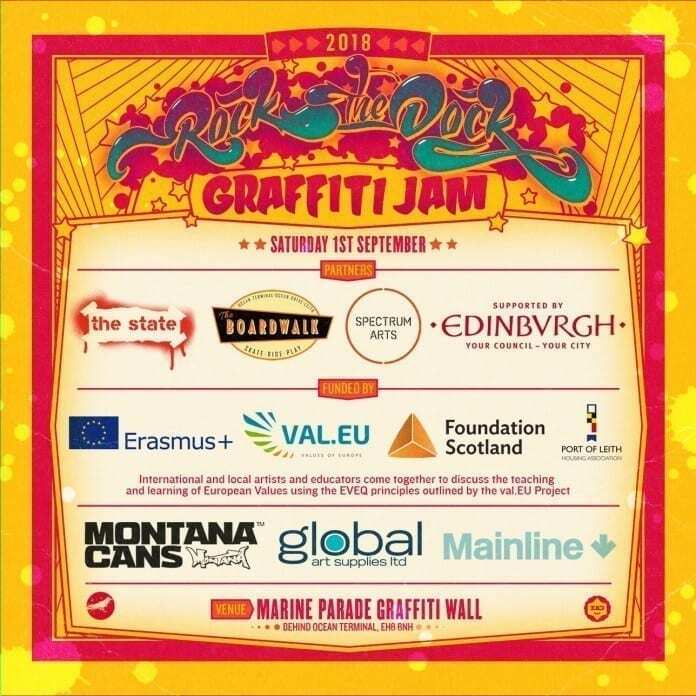 Supported by the Council, which has helped bring together representatives from various local organisations, as well as clearing and preparing the land around the wall, Rock the Dock will see 60 graffiti artists from Scotland, England, Ireland, Poland, Spain and Germany decorate a section each of the wall. The Council-owned site forms part of the proposed tram to Newhaven but this initiative is seen as an ideal opportunity to breathe new life into the area prior to work getting underway (should the project get the go-ahead). With 330m in total being decorated (165m on each side), the temporary graffiti wall will become the UK’s longest, surpassing the current longest one in Dundee by 190m. The event is open to all and will run throughout the day between 9am and 9pm, with three free workshops at 11am, 1pm and 3pm. Anyone interested in attending a workshop can book a place by emailing marineparadegraffitiwall@gmail.com. Keep up-to-date with Rock the Dock details on the Facebook event. 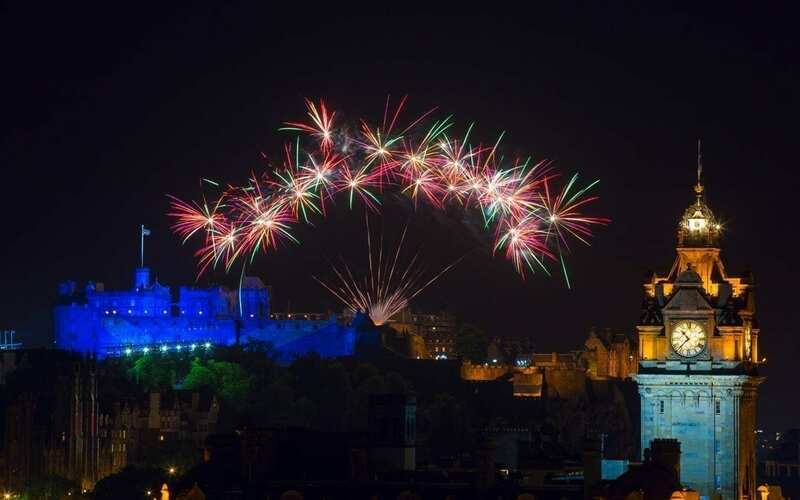 Did you have the chance to enjoy the fireworks over the castle to mark the end of the Edinburgh Fringe Festival? 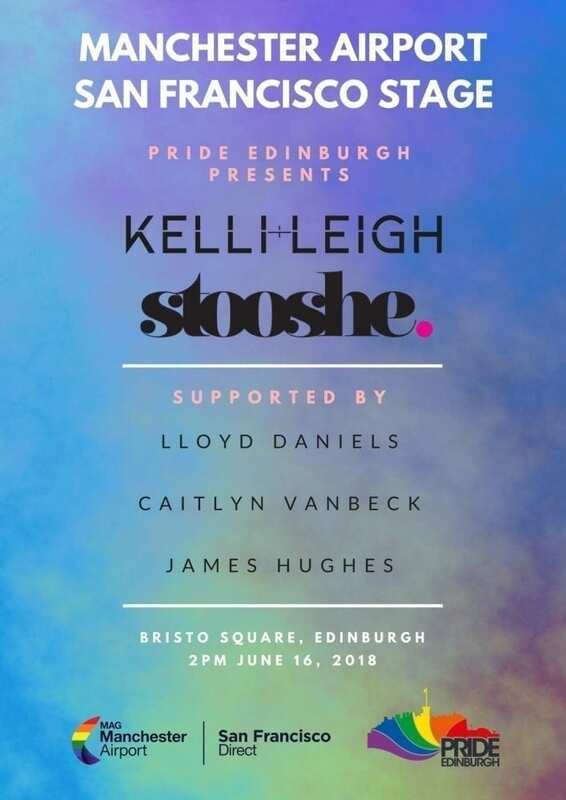 If you couldn’t make it or are not in Edinburgh, here is a selection of the best shots and videos from yesterday magnificent light show. What an incredible and spectacular end of the festival! Temperatures are set to climb even further in the Capital today, with the Met Office forecasting a high of 29 degrees. 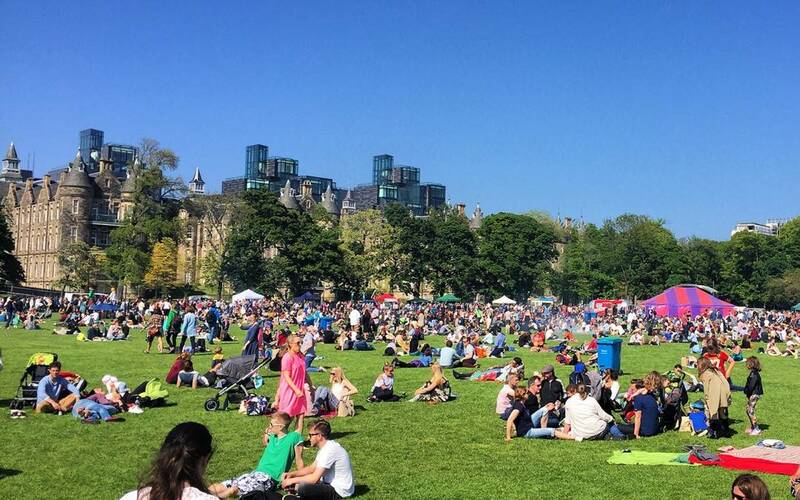 A heatwave which could produce the hottest temperatures this year is sweeping across Scotland. There’s no denying it – Edinburgh looks stunning in the sunshine. So make the most of the good weather by enjoying the great outdoors. We’ve listed the best places to enjoy a picnic. It is the most central park in Edinburgh and definitely one of the busiest parks in town when it is sunny. In the shadow of Edinburgh Castle, the Gardens were created in two phases in the 1770s and 1820s. Both run along the south side of Princes Street and are divided by The Mound. East Princes Street Gardens run from The Mound to Waverley Bridge and cover 8.5 acres (34,000 m2). The larger West Princes Street Gardens cover 29 acres (120,000 m2) and extend to the adjacent churches of St. John’s and St. Cuthbert’s, near Lothian Road in the west. The Gardens are the best-known park in Edinburgh, having the highest awareness and visitor figures for both residents and visitors to the city. Various concerts and other events are held at the Ross Bandstand including the Festival Fireworks Concert, Men’s Health Survival of the Fittest, and during the city’s Hogmanay celebrations. The Meadows is a large public park in the south of the city centre. It consists largely of open grassland crossed by tree-lined paths, but also has a children’s playground, a croquet club, tennis courts and recreational sports pitches. It is bordered by the University of Edinburgh’s George Square campus and the Quartermile development on the site of the old Edinburgh Royal Infirmary to the north and Marchmont to the south. To the south-west, it becomes Bruntsfield Links where there is a free, public pitch and putts golf course. It is one of the best places in the city to organise BBQ with friends! Just one mile from city centre, the Royal Botanic Garden Edinburgh offers visitors peace and tranquillity amongst 72 acres of stunning scenery. The Royal Botanic Garden Edinburgh is one of the finest botanic gardens in the world. A pleasure for all the family, the Garden offers fantastic views of the capital’s skyline, featuring Edinburgh Castle, and is located just a mile from the city centre. Visitors can discover its fascinating history, which dates back 300 years, learn about its plantings and walk around 70 acres of beautiful landscape. Harrison Park is at the heart of a lovely community, shared by dog walkers, children, picnickers and duck feeders. It’s gorgeous in the summer and stunning in the autumn. It sits beside Union Canal, so throw down your blanket and get the sandwiches out and watch the world go by! Nestled right under Edinburgh Castle, this spot on a summer’s evening is perfection! You are surrounded by little cafes and bars, so this is a great spot for an impromptu picnic. Located in The Grassmarket, it can get quite busy so get down early and enjoy the sun all day! One of the seven hills of Edinburgh, it’s well worth the short steep walk with your picnic to the top of Calton Hill. The historic site is in the centre of the city and overlooks the Scottish Parliament at Holyrood. With such vast and stunning views down over the city, Calton Hill is popular with picnic-ers on the rare Edinburgh sunny day. Blackford Hill is towards the south of the city and popular with dog walkers and weekend hikers. From here you can see Edinburgh Castle, Calton Hill and, on a clear day, all the way out across the Firth of Forth. Inverleith Park was made for picnics. Meticulously manicured grassy parkland, lovely trees, and a resplendent sundial garden all add to the appeal. Once more, those looking to congregate in large groups, toss a ball about, meander over the quaint wooden bridge, or explore surrounding flora and fauna, will be in their element. Such a prime spot demands a perfect picnic. Portobello is a coastal suburb of Edinburgh. Once known as a beach resort, it is located three miles (5 km) to the east of the city centre, facing the Firth of Forth, in eastern central Scotland. Although historically it was a town in its own right, and is often seen as such by its inhabitants, it is now a residential suburb of Edinburgh, with a promenade fronting on to the wide sand beach. It lies between the suburbs of Joppa and Craigentinny. Enjoy the feel of an old fishing village which the suburb of Cramond still retains. There is plenty of history to see in the area too with Cramond boasting one of the longest known periods of human settlement, and refreshments are available at the nearby pub or the nice coffee shop. It’s also possible to walk over the causeway to the island at low tide – do keep an eye on the tides though as it is possible to get stranded on the island. Arthur’s Seat may be a predictable choice and yet, it still never ceases to enrapture the people who walk it. Every time something new arises, whether it’s an added entity in the skyline or an uncharted route graced with new but equally astounding views. If lugging a picnic to the top doesn’t sound like too much of a headache, the vision of the city (and beyond) will erase all images of arduous power walking. That, and some surprisingly delicious Scottish BBQ from Reekie’s Smokehouse. Perfectly placed nearby, this family-run eatery is a winner in the meat, coffee, beer and cake game. Quick and easy, consider this a wonderfully spontaneous kind of Scottish picnic experience — no fuss, no frills — just good food and views. Star in your own film and escape for a picnic in the Pentlands. Rolling hills, picture-perfect streams and views worth knowing about make this an ideal spot to throw down that checkered blanket and soak up the serenity. Adventure junkies will see this as an exploration opportunity, which may or may not cut into valuable eating time. Budding romanticists, on the other hand, will see this as a blissfully remote location. Strategically placed at the foot of the Pentlands is The Secret Herb Garden. This herb nursery hosts a café filled with produce harvested on site, along with various jams, chutneys and jellies. Near Edinburgh, there is also some great spots! Yellowcraig is a natural cove beach with spectacular views to the 1885 lighthouse on Fidra Island, the inspiration for Robert Louis Stevenson famous tale Treasure Island. Yellowcraig is a natural cove beach with spectacular views to the 1885 lighthouse on Fidra Island, the inspiration for Robert Louis Stevenson famous tale Treasure Island. It is a popular family beach, which offers a nature trail, barbecue site (which must be pre-booked with the council) and a network of footpaths through the sheltered woodlands and extensive grassland. 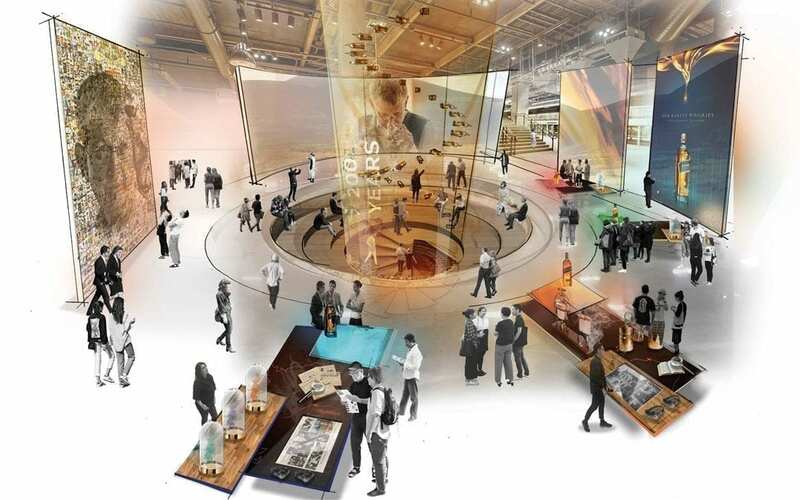 Diageo has announced it will invest £150 million over three years to transform its Scotch whisky visitor experiences in the biggest concerted programme ever seen in Scotland’s whisky tourism sector. Whisky from Diageo’s distilleries all over Scotland contribute to the Johnnie Walker blend, but four distilleries, Glenkinchie, Cardhu, Caol Ila and Clynelish, will be linked directly to the Johnnie Walker venue in Edinburgh, representing the ‘four corners of Scotland’ and the regional flavour variations of Lowland (Glenkinchie), Speyside (Cardhu), Island (Caol Ila) and Highland (Clynelish) crucial to the art of whisky blending. 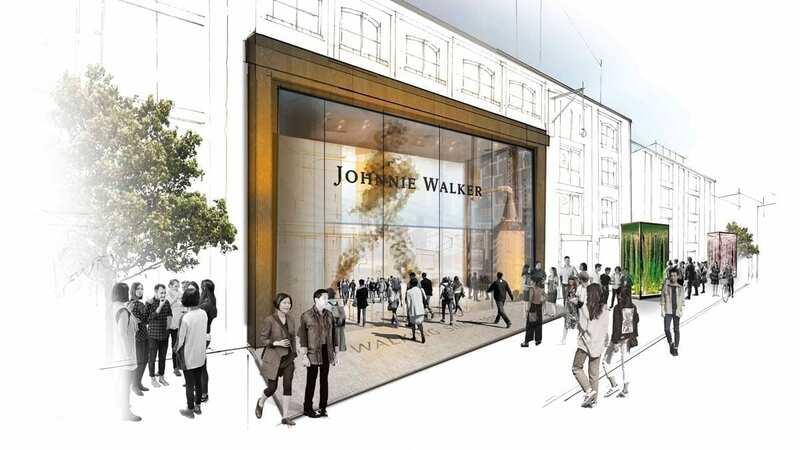 Watch this video to find out more about the new Johnnie Walker global brand attraction & distillery upgrades designed to grow the appeal of Scotch. Ever wondered who Diageo is and what they do? Watch this short video to find out, or go to www.diageo.com for more information.